Sent to us by Prateek Suri, the following Nexus 6 concept fits the lines of the device that we expect as the next Nexus smartphone. We also get a realistic list of specs for it, that obviously includes Android L and the powerful Snapdragon 805 processor. 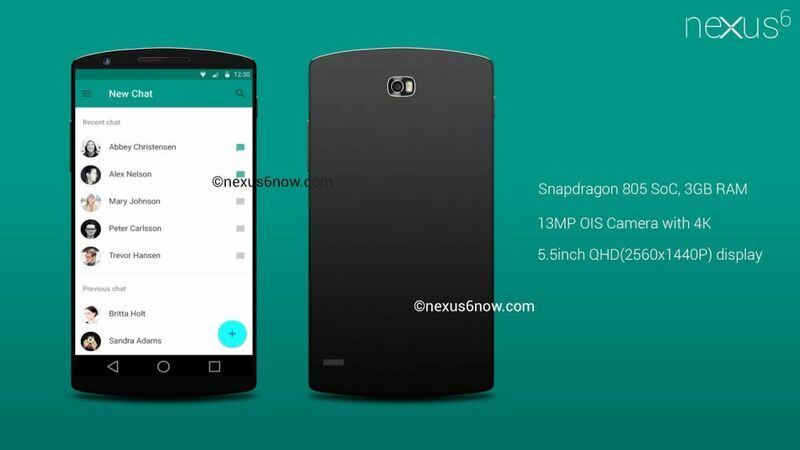 This Nexus 6 concept has 3 GB of RAM, a 5.5 inch QHD IPS display and a 13 megapixel camera with OIS and 4K video capture. The body is all metal and the handset is very compact and nicely rendered. It has the typical rounded upper and lower part, standard for a Nexus, as well as a discrete camera, although the Nexus 5 had a huge cam. This model features a matte back, very slim bezels and those already classic Android L geometrical shaped Android buttons. If you ask me, a QHD display is overkill for the Nexus 6, since it drained a ton of power on the LG G3, so they’d better leave it out. However, with Android L’s ability to use up 30% less power than KitKat, they may actually be able to implement a decent 2K panel. What do you think?